If you can, please support this PDX event coming up on the 5th. In my post that was my letter to Mr. Neptune, Colette left a reply that was a ‘heads up’ to an event being held in Portland, Oregon on October 5th. Ergo, this coming Friday. Now the odds are that very few of you dear readers will be within reach of that event. But that doesn’t stop me from promoting the event so that the details may be shared as far and wide as possible. Join us October 5th for a peaceful Demonstration to help endangered Southern Resident Killer Whales. There are only 74 left after the loss of 2 baby Orcas this Summer. You may have seen the dead newborn Orca carried “Save our Orcas”. Meet promptly at Holladay Park at 3:00pm. Here’s a news item taken from CBS News. Then for those that would like more background on the Orca whale, let me republish the opening paragraphs of an item from Wikipedia. The killer whale or orca (Orcinus orca) is a toothed whale belonging to the oceanic dolphin family, of which it is the largest member. Killer whales have a diverse diet, although individual populations often specialize in particular types of prey. Some feed exclusively on fish, while others hunt marine mammals such as seals and dolphins. They have been known to attack baleen whale calves, and even adult whales. Killer whales are apex predators, as no animal preys on them. A cosmopolitan species, they can be found in each of the world’s oceans in a variety of marine environments, from Arctic and Antarctic regions to tropical seas, absent only from the Baltic and Black seas, and some areas of the Arctic Ocean. The International Union for Conservation of Nature assesses the orca’s conservation status as data deficient because of the likelihood that two or more killer whale types are separate species. Some local populations are considered threatened or endangered due to prey depletion, habitat loss, pollution (by PCBs), capture for marine mammal parks, and conflicts with human fisheries. In late 2005, the southern resident killer whales, which swim in British Columbia and Washington statewaters, were placed on the U.S. Endangered Species list. Orcas leaping. Picture from the Whale and Dolphin Conservation (WDC) website. A further reminder of the power of positive thinking! Where hope and inspiration meets the cold world of reality! This small chastisement comes on the back of yesterday’s post where I had a ‘big dump’ of feelings about some of the madder aspects of our so-called modern life. Then later on in the day, I just happened to come across a flurry of positive stories that I wanted to share. 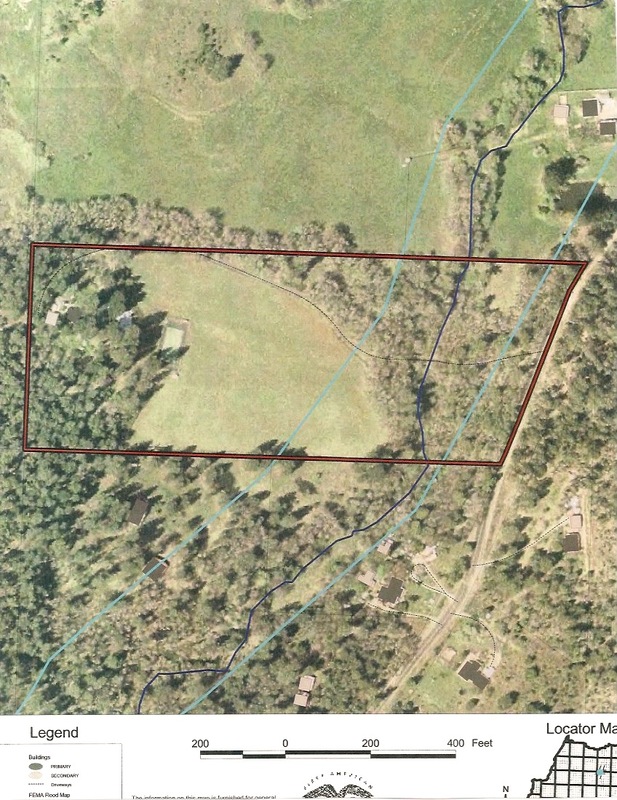 First, here’s a scan of the assessors map of our property, near Merlin, OR. A little over 13 acres, orientated West-East. NB: The blue line is the course of Bummer Creek, that historically has had a year-round flow, albeit a low flow during Summer months. The rectangular green area to the West of the open land was a tennis court, now removed. The main house is 200 feet West of that tennis court area, completely hidden by surrounding trees. It is a beautiful place for us and all our animals! The first positive story was as a result of watching that TED Talk by Marla Spivak. Jean and I thought that as we have well over 4 acres of open grassland, let’s see what we can do to attract and assist our local bees. Nice speaking with you this morning. For your inquiries on how best to attract bees to your acreage, I would recommend the Xerces Society, a local Oregon group with a Pollinator Campaign. They have a lot of great info on their website, and you could also give them a call at 855.232.6639. Also, Representative Earl Blumenauer here in Portland has been a big advocate for bee conservation and recently introduced the Save America’s Pollinators Act if you’re interested in bee conservation activism. Regional guidance on site prep, planting, and management for pollinator habitat. We have guidelines for creating pollinator meadows and flowering hedgerows. Each guideline has an appendix with regionally appropriate bee magnet plants. Use this guide to assess the currently habitat available to pollinators on your property and how to protect and enhance that habitat. Regional information about plant lists, habitat conservation guides, and more. I hope this information is helpful! Feel free to email or call me with additional questions about conserving pollinators. Finally, John Hurlburt emailed this, and I use it to close the post.